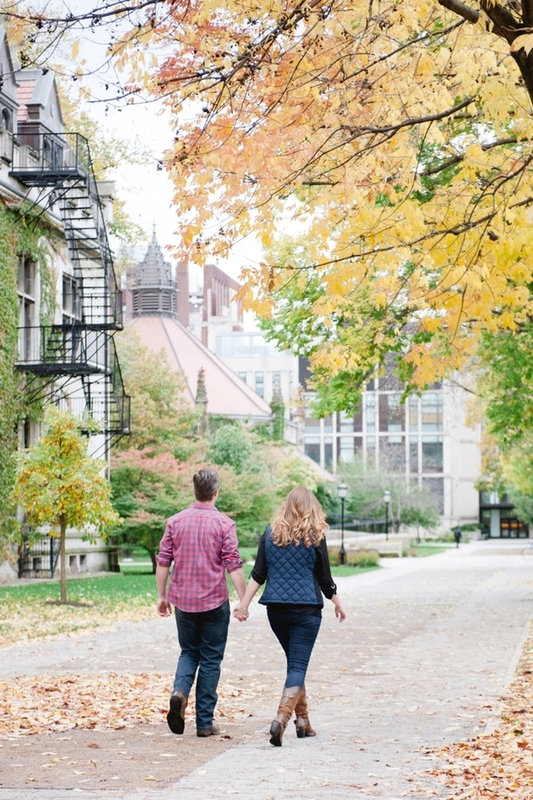 This University of Chicago engagement session is straight out of a fairy tale. 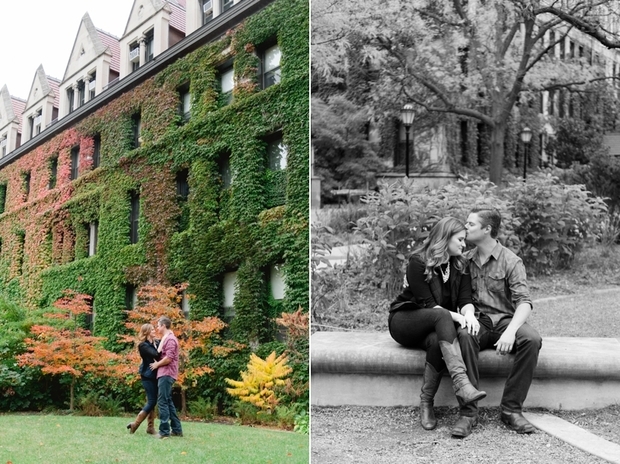 Get ready for tons of romance, stunning architecture, Fall foliage and lots of champagne! Does it get any better than that?! I first met Matt, the groom-t0-be, in Mother Goose’s pre-school class. Our beautiful Mom’s became fast friends and our families spent a lot of time together during our elementary school years. Fast forward to a family event years later when I had the privilege of meeting April. I remember thinking at first how gorgeous she is and also being instantly drawn to her infectious energy and spirit. The two seemed well suited for one another and it was obvious how much Matt adored April. It was such an honor to document this special and exciting time for Matt & April. 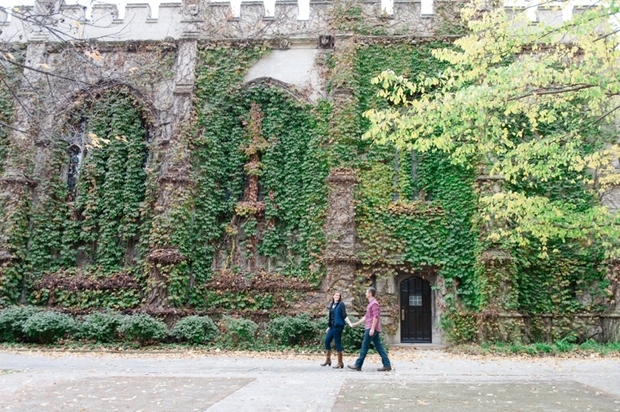 Last Fall, we explored one of April’s alma maters, The University of Chicago, and she regaled us with stories of her time there. The leaves were turning and the campus was just gorgeous. We even stopped in one of the University’s many library’s for a Hogwarts inspired pic. Our adventures took us downtown for a champagne toast and tour of Chicago’s most iconic architecture. The Cubs ‘W’ even made an appearance with the Wrigley Building in the background. Wishing these two a lifetime of happiness!